Dr. Felicia Weatherall is committed to providing excellence in dentistry, and stands out as a leading dentist in Cypress. The doctor uses the latest in dentistry techniques to provide you with a beautiful and healthy smile. 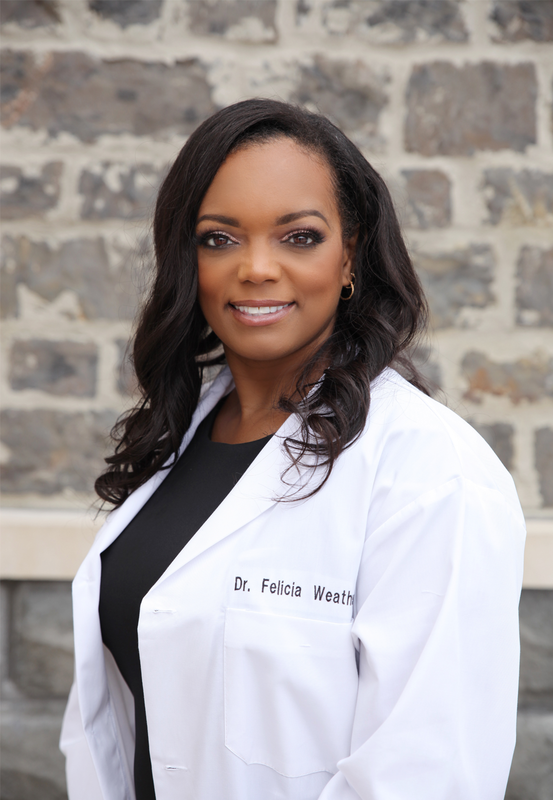 Additionally, Dr. Felicia Weatherall believes strongly in education to prevent oral health problems before they occur, and makes sure to keep patients fully informed about their dental health. She received her dental degree from The University of Texas Health Science Center in Houston. After graduation, she started working for a group practice, where she received advanced training and her desire to begin her practice at Cypress Mill Dental. Dr. Weatherall is dedicated to providing her patients with a gentle, caring, and comprehensive approach to oral health. She believes in conservative and preventative dentistry. Her goal is to increase the longevity of her patient's teeth. Each year she devotes a significant portion of her time to attend numerous advanced continuing education courses, necessary to create long-lasting dental care. With over 20-years' experience in Dentistry and extensive training including the advanced use of digital imaging which enables her patients to preview their smile prior to the start of treatment and the use of sophisticated digital x-ray, CariVu, Gendex PANO and intra-oral imaging. Dr. Weatherall is a standing member of the American Dental Association, Greater Houston Dental Association, Texas Dental Association, and the Academy of General Dentistry. She is a certified CEREC Dentist, all porcelain crowns are fabricated in the office. Patients usually get their restoration the same day. She’s also certified in Invisalign, with Invisalign you get clear braces without the metal wires and also certified in FastBraces Technologies, a faster alternative to the old-style braces. When Dr. Weatherall is not practicing her passion, of cosmetic dentistry, she spends most of her time with her husband, children and grandchildren. The first thing you'll notice when you walk into Cypress Mill Dental is the incredibly friendly and inviting atmosphere. Members of our staff have been hand-picked to provide you the best possible experience during your visit to the dentist.